"Oh, that dress in the window!" 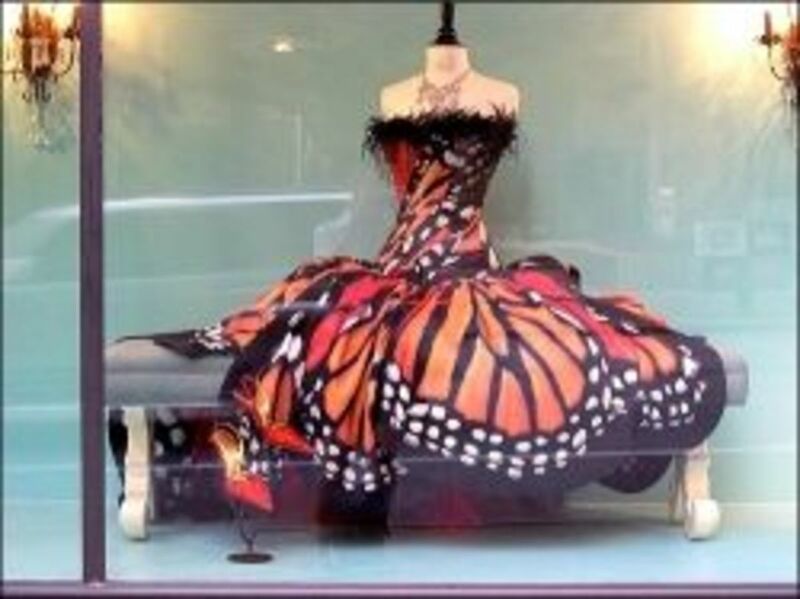 If my introduction to Luly Yang's Monarch Butterfly Dress was by way of a casual walk down the street with my eyecatching this dress in a shop window, I'd be out of my ever-loving mind! That's exactly how it has been for many. This dress has become iconic, and it has also launched the designer, Luly Yang, into a world of design and couture fashion. So many like Luly Yang as she is down-to-earth and finds inspiration from the beauty of Nature. She has been openly embraced and respected by her peers and the fashion community. I hope you enjoy discovering this lovely dress as I have. I can't think of a more fabulous way to step-out this Spring season than with Luly Yang's Monarch Butterfly Dress. It is a beauty! Now, make sure you scroll all the way down this article, as I will also be sharing another Luly Yang couture dress, only this one was inspired by the iridescent blue morpho butterfly. It's another favorite evening gown, and it's truly the evening gown of fairy tales! The journey of the monarch is both impressive and mysterious. These butterflies make a migration of up to 3,500 miles from Canada to Mexico and Baja, California. They are one of the only insects able to make the flight across the Atlantic Ocean, and now, there are smaller communities that also migrate from Europe all the way to Australia. 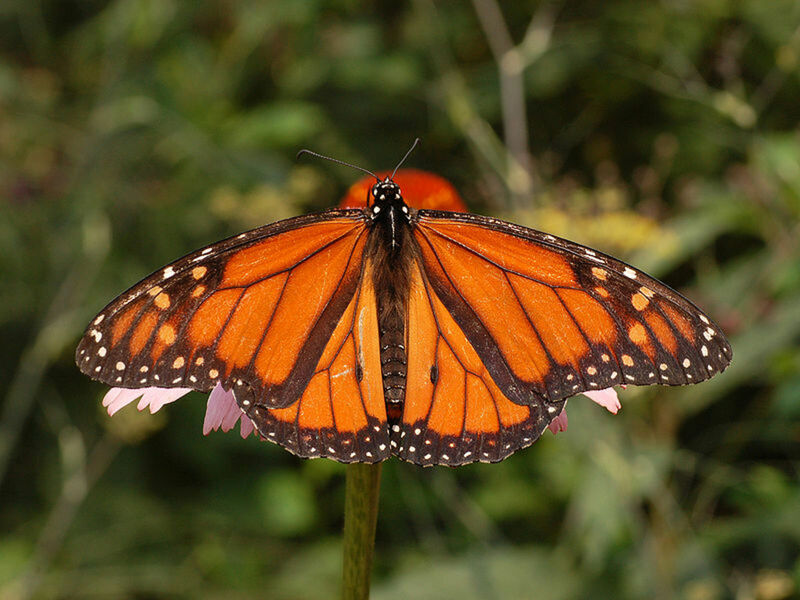 Scientists can only speculate why monarchs migrate such long distances. It remains one of Nature's captivating mysteries. 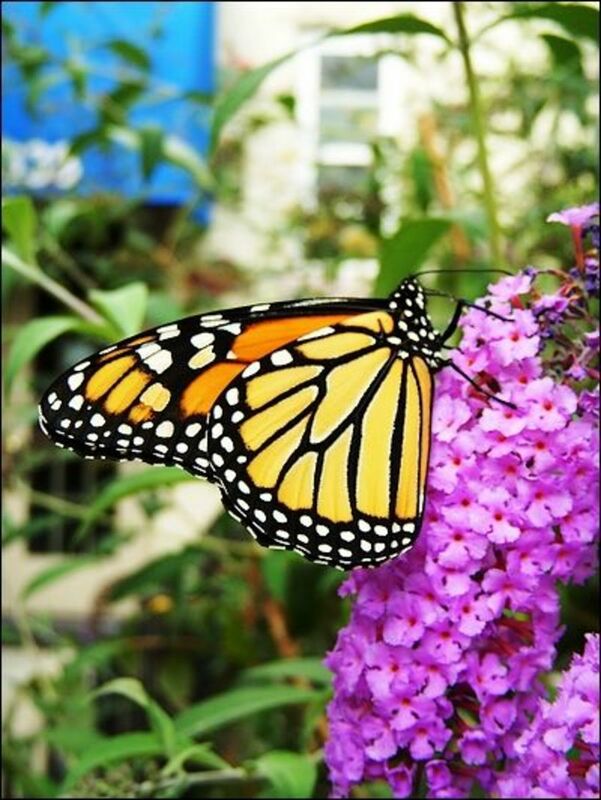 The symbol of the monarch migration is one of strength, stamina, and endurance, all while maintaining beauty and grace. Luly Yang compares her journey of the past 10 years to the migration of the monarch. She is inspired by these lovely creatures and the symbolism that accompanies them. She believes that if we instill Nature's beauty even into the clothing that we wear, we will have more of an appreciation for Nature and her beauty. Luly talks more of this in the video below. Is it working? * no harm was done to these monarchs! If you have one or two kiddos in the house nearby, you may want to call them over. This is a beautifully well done video. 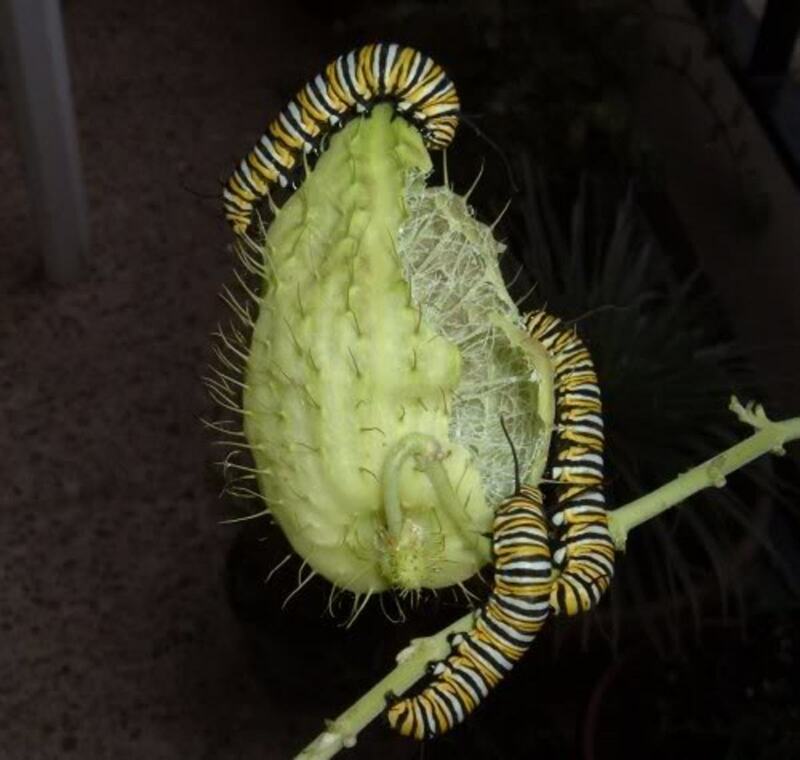 It begins with a single female monarch laying an egg on the back of a leaf. The larval caterpillar hatches, grows into a healthy "adult caterpillar," wraps itself in a cozy cocoon, emerges as a beautiful butterfly, and begins its migration journey. The migration footage of thousands upon thousands of monarchs is amazing to watch. It's a nice relaxing feel-good video. Enjoy. The Story of Luly Lang's Journey - Watch that Dress Come Down the Runway! In this video, Luly Yang talks about her personal decade journey and how she compares here own transformation to that of the monarch butterfly's. Look at What this Woman has Done - "Butterfly Girl"
I love this photo. It makes me smile. I believe this woman may have been out promoting the upcoming fashion show, although, I'm not positive. Nonetheless, she looks great in her wings! I simply just cannot stop looking at this dress. It's a fairytale gown, and I'm in love with it. This dress is also one of Luly Yang's designs. It's a captivating dreamy evening gown. It's the Blue Morpho Monarch Couture Gown. Ms. Yang has drawn from the beauty of another butterfly, a butterfly that is one of my favorites, The Blue Morpho Butterfly. Blue morpho butterflies are iridescent and are accompanied by several species and subspecies. 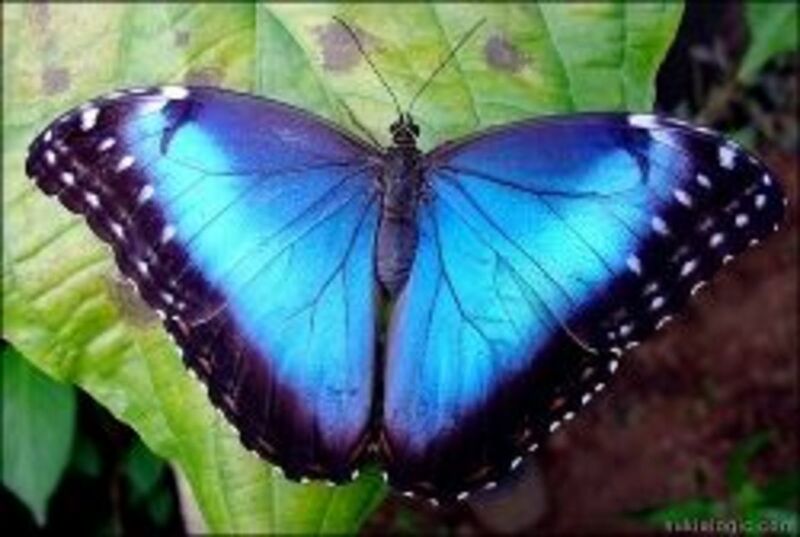 I'll show you a blue morpho butterfly below. If you're seeing this butterfly for the first time, I feel you are in for a real treat. For me, it's difficult to stop watching them, and It's such a wonderful surprise to find such beauty! ..........to find it in this dress almost made me fall over! I just had to know, "Who made this dress!?" I have loved this butterfly and it's similar cousins since I was 16 years old. It's been well over 20 years, and I still remember my introduction to this iridescent strikingly beautiful butterfly. At 16 I had my first Internship at the National Natural History Museum in Washington, D.C. I interned at the "Insect Zoo," which is an actual zoo within the museum featuring not only live insects but also many live arthropods as well. My job was to care for these animals, give public feeding and handling demonstrations, and interact with the public. Before work in the morning while the museum was still closed to the public, I would wander the halls and marvel at all of the exhibits. It was a wonderful experience that I am truly grateful for. One of the exhibits I went to regularly was small and showcased Nature's Beauty. In a large glass display box were these Morphidae and other iridescent butterflies. I could hardly believe something like these existed in Nature. 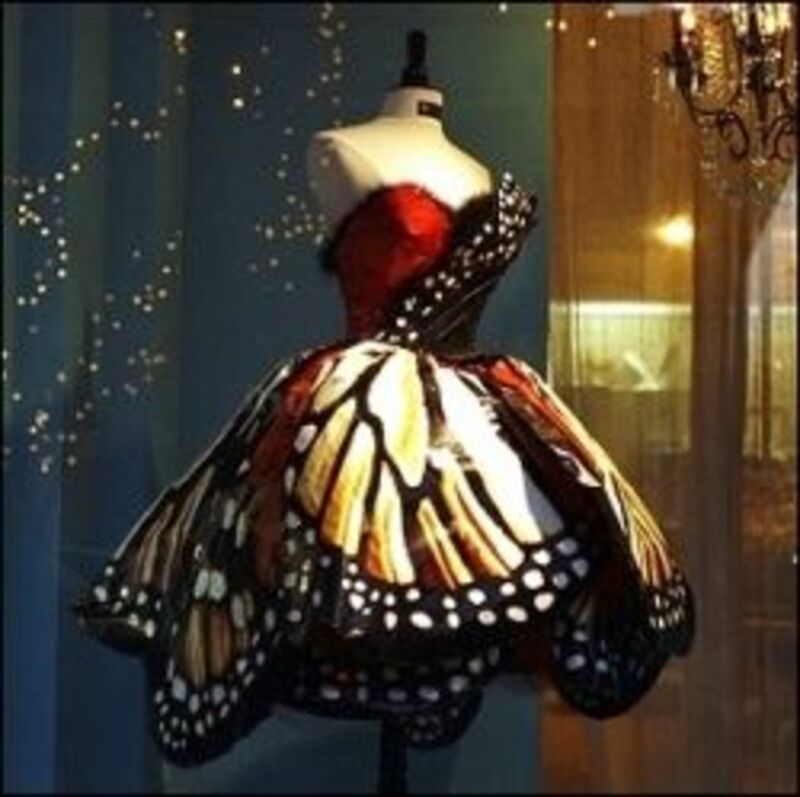 So, for me to come across an evening fairytale gown inspired by these amazing butterflies... well...I almost fell over! If you'd like to read about my encounter with living blue morpho butterflies for the first time or if you simply adore these flashy, beautiful creatures as I do, you may do so here. It's another article I wrote titled, "My Trip the Butterfly Conservatory at the Boston Museum of Science." These are real butterfly wings by a blue morpho butterfly. (Don't fret - The butterfly gets to live out its whole life span in a natural butterfly habitat. You can not tell by the photo, but the wings in the necklace pictured are iridescent and will shimmer. 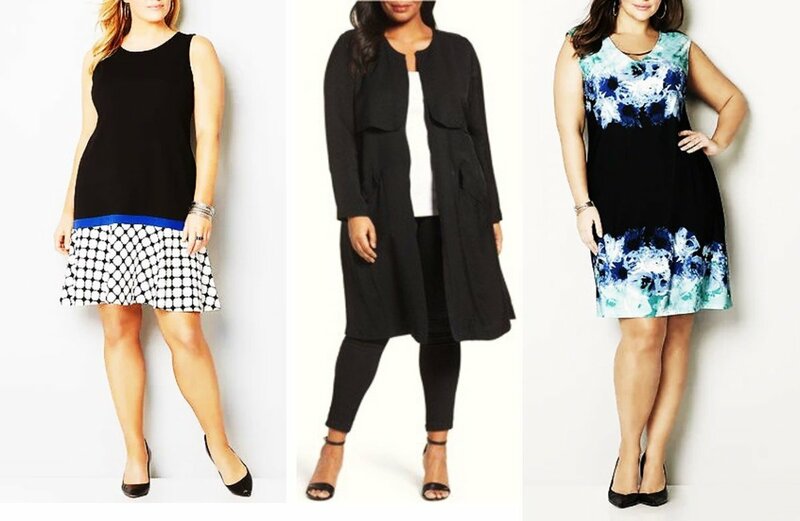 Which Luly Yang Monarch Dress is Your Favorite? So, Where Can I Buy These Dresses? These two lovely monarch dresses aren't as easy to come by, but if you absolutely have to have one of them, you can begin your consultation and get on the waiting list. 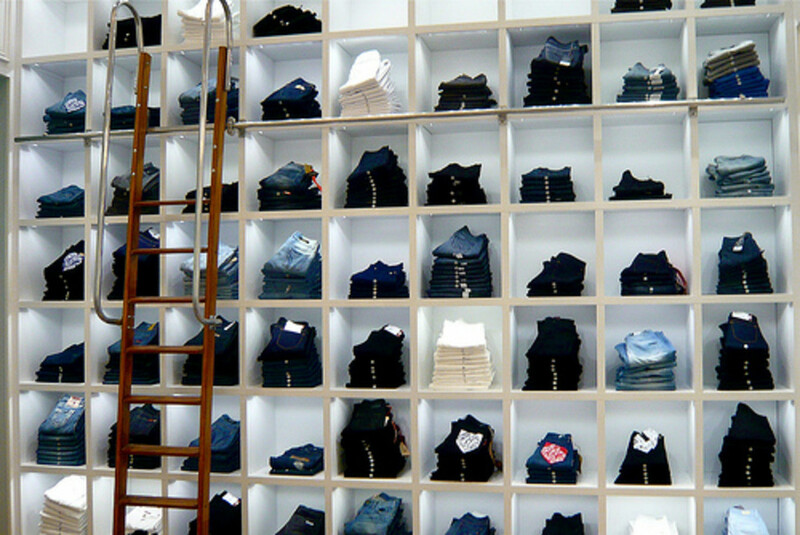 If you're local to the downtown Seattle, Washington area, you may stop in Luly Yang's shop. Many have stopped in just to say hello and get a glimpse of Luly's iconic monarch dress in person. I love the Iridescent Blue Morpho butterfly, it is my favorite! I will have to settle for the shirt with the Blue Morpho as I would not fit into that dress. Great lens and when I go to Washington later this year for family reunion I will show that dress to my kids and grandkids! Great lens! Wow! 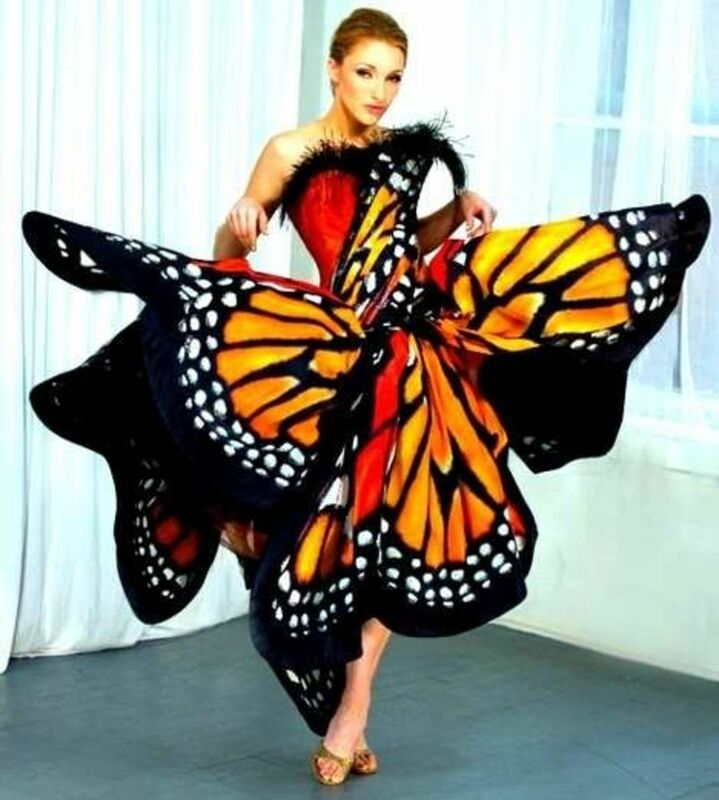 I think a lot of high fashion is just silly, but these butterfly dresses are really inspired. You know, I often think the fashion world has gone bonkers in its pursuit of creating something different, but Luly Wang has pulled it off magnificently. If I were young, I would crave her designs. In fact, if she ever decides to design for fat, little old ladies, count me in! I would love to see what she comes up with next, and I hope she never stops using Nature as her inspiration. Thank you for introducing me to her work. She is a true artist. love these photos - and I want that butterfly dress, just to watch my family's jaw drop as I enter the room - and the comments I would get would be hilarious - for that along I want that dress! @anonymous: Yes, butterflies are beautiful and hold much symbolism. Thank you for reading my article. @MariannesWhims: Thank you, and it wouldn't have happened without you! 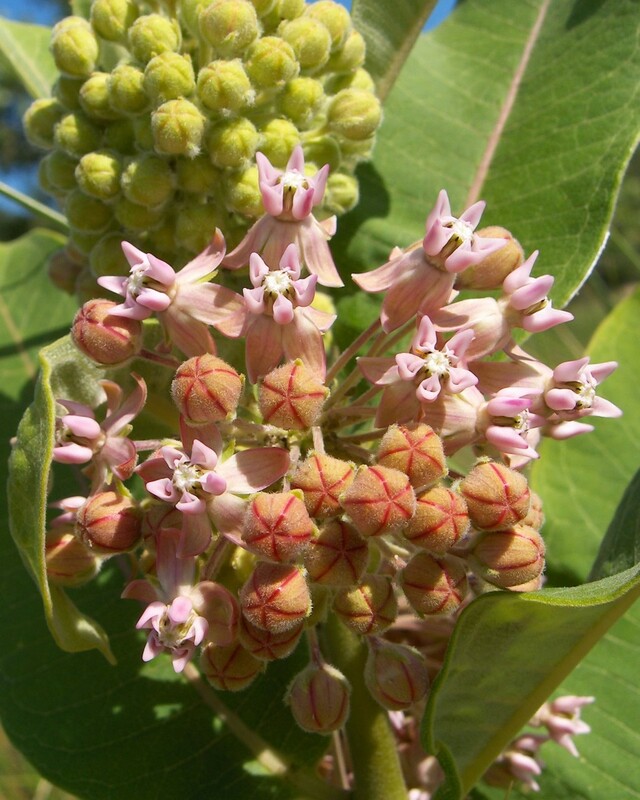 @tonyleather: Yes, and thank you regarding the purple star. @GrammieOlivia: Thank you for reading my article :) I was very excited to share these two gowns with others. Wow! gorgeous is the word! From experience I know how much work goes into something like this........congrats on the purple star and this lovely lens. These are stunning creations, and the Purple Star was well deserved! Congratulations on the well deserved Purple Star Award. Awesome lens. These gowns are gorgeous- - A piece of art- -So beautifully designed. Loved to see them modeled here. 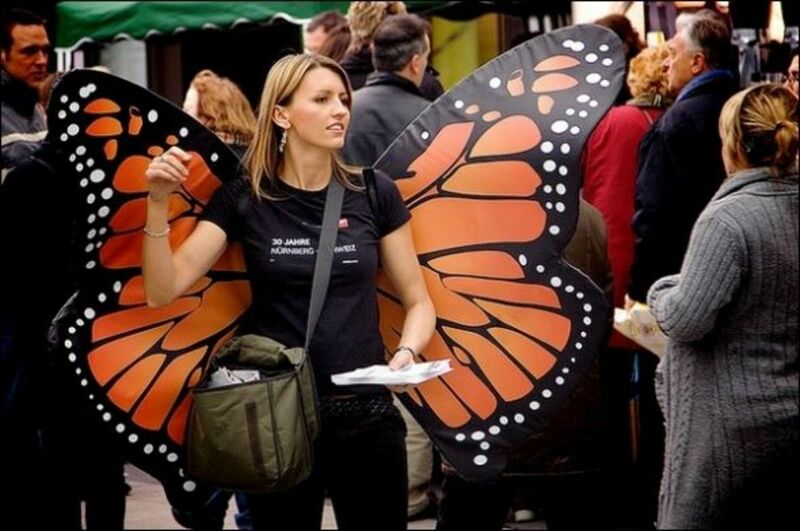 Nice way of twining your experience and knowledge of butterflies into this fashion dress lens. It made it doubly interesting. @marktplaatsshop: HI, I'm glad you like the footage I found. Thank you for reading my article. You should know that these butterflies are not killed for their wings. They live out their whole life-span very comfortably. I am sorry too see you try selling real butterfly wing earrings. @takkhisa: Yes they are, and thank you for having a look! What a unique dress! I wouldn't have any occasion to wear it to, but if I did, I'd wear it! Someone posted that picture on my Facebook wall just recently...saying how they knew I would love it! Wow! These are incredible and beautiful. Amazing designs. Thank you for this beautiful lens! Always thought Monarch Butterflies are a great design inspiration. @flashkid: hello and thank you for stopping by this lens :) Unfortunately, there is not. However, I have come across other adorable butterfly dresses and costumes for little girls. I'll be adding those modules today.